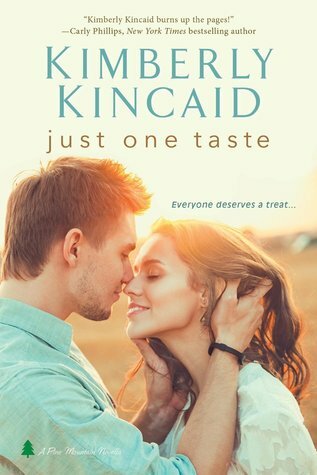 This was a really sweet story, the main characters, Jesse Oliver and Kat McMarrin were really likable; they just had you rooting for their happy ending. Jesse had a really tough life growing up and after returning from Afghanistan and going through a lot of trauma things are finally good working as a cook, complete 360 from the field medic he used to be. Jesse keeps to himself and just goes about his life day to day. When a busted pipe forces him and all of his neighbors out of their apartments, Jesse has nowhere to go until his buddy offers him use of the duplex co-owned by his sister. Yes, it's a one of those, guy meets friend's sister and BAM! connection. Kat was very happy finally having her own space after growing up with a military father who constantly uprooted her and her brother in their youth; when her apartment is flooded she decides to go to the duplex she co-owns with her brother (yes, she was Jesse's neighbor and apparently did not know big brother and hot neighbor were besties). Well, Kat and Jessie work together to restore the duplex and become a whole lot closer; together they are able to overcome their issues and move together to their happily ever after. Even when Jesse is being a typical dumb guy who thinks it's best to walk away from his lady love.